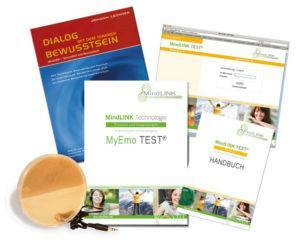 The MindLINK software systems myEmo TEST®, PrevenTEST® and myMENU TEST® are databases with test elements on emotional, physical or diet-related dynamics and blockages. They consist of audio files, ie audible words. Instead of a speaker, these audio files are transferred to the tested client with the specially developed MindLINK WavePads®. The WavePads® transform the audio files into artificial fields of consciousness. If the tested client resonates with the transmitted content, an arm reflex arises. With this armlength reflex it is possible with a yes / no query to test for individual blockages and appropriate solutions/affirmations. For this specific technique used in the MindLINK WavePads® Dr. Johann Lechner PhD-UCN received a patent. This patent testifies that Dr. Johann Lechner PhD-UCN had to bring proof of an effect. Each MindLINK software module contains an extensive database with test elements specifically selected for the respective application. Each of these test elements is linked to an audio file. 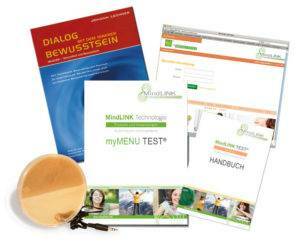 The main component of the MindLINK software module is the specially designed MindLINK WavePad®. This patented transmission technology works on the basis of Tesla coils. 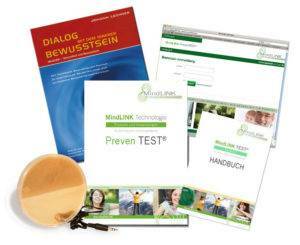 The MindLINK WavePad® converts the audio file into a field of consciousness. Via the audio output of the PC or notebook, the information is transmitted directly and silently to the subconscious of the test person. For this, the MindLINK WavePad® has to be plugged into the audio output of the PC or notebook. kinesiology (for example, armlength reflex test according to Raphael van Assche), the doctor or naturopath can check the resonances of the inner consciousness of the tested client and detect hidden blockages deep in the subconscious. percentage score displayed in the software helps to determine how intense a blockage is. It can be used to test multiple layers and deep underlying backgrounds of patterns of behavior or physical symptoms. The results are recorded by the software in a log. This log can be printed out for the client or for colleagues. Orders for supplements can be sent online to the suppliers immediately (PrevenTEST® Software Module). With these features our software modules are technically up to date and allow fast and precise testing. myEmo TEST® - "The psyche as a cause of illness"
Support for diagnosis and therapy of emotional blockages. This software module can help to find quickly and effectively emotional blockages as a background of emotional or physical symptoms. It supports an individual diagnosis and can serve as an introduction to any form of counseling. PrevenTEST® - "The new way to health and consciousness"
The PrevenTEST® software module is used to find system interconnections and physical blockages of the body. It can be used, for example, to check which causes could be the background of certain illnesses and which additional measures the body needs to compensate it. myMENU TEST® - "Eating right - living better"
myMENU TEST® is a software module for extensive vital and metabolic analysis by means of a reflex test and computer-aided diagnostics. It is uniquely adapted to the current metabolism and provides information on the activity of the individual organs, the protein, fat and carbohydrate metabolism, glandular activity (hormones), the acid-base balance and much more. 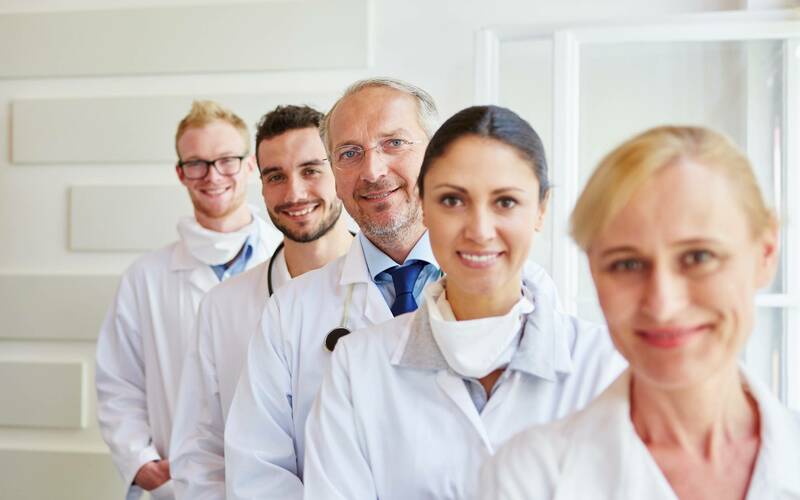 Users of all three MindLINK software modules are dentists, doctors, therapists and coaches.